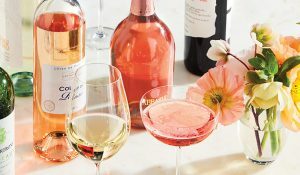 Martha Stewart, who has stamped her name on all things wedding and domestic, will be serving up something new: wine. In a press release issued by Martha Stewart Living Omnimedia, a company spokesperson said that the company has forged a partnership with E.&J. Gallo Winery to develop a brand of wines under the label “Martha Stewart Vintage. The wines will sell for about $15 a bottle and, not surprisingly, will be heavily promoted to the wedding market. The initial launch of 15,000 cases will include three wines: 2006 Sonoma County Chardonnay, 2005 Sonoma County Cabernet Sauvignon and 2006 Sonoma County Merlot. In May 2007, Martha Stewart signed an agreement with Costco Wholesale cost to sell a cobranded line of frozen and fresh food under the label Kirkland Signature by Martha Stewart. Kirkland is a key store brand for the wholesale club operator. Over the past 12 months, Martha Stewart Living has stepped up a number of initiatives from magazines like Blue Print to developing branded homes with KB Home, one of the nation’s largest home builders. In May, it launched its new Martha Stewart Crafts line of paper-based crafting and storage products in more than 900 Michael’s stores, with plans to roll out the line to independent dealers later in the year. In August, the company launched Martha Stewart Collection of home products that is being sold exclusively at Macy’s stores and on macys.com. This foray into wine appears to be yet another spoke on the wheel of expansion for the Martha Stewart brand. It will be intriguing to see what comes next.